The luxury family lodge was completed in 2011 and is set in a private 2000 acre reserve. A beautiful property, with interiors by Erena Goodwin offering comfortable living in five elegantly designed en-suite bedrooms with fire places and balconies with panoramic views over the bush. 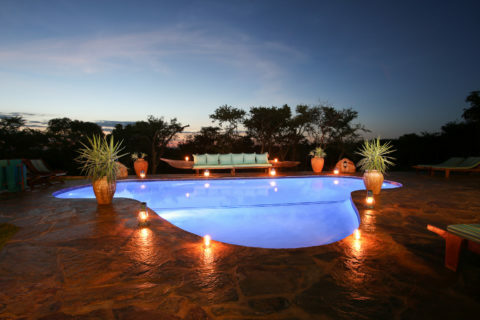 Umndeni Game Lodge is a fully-catered luxury lodge, with beautiful lounge and dining rooms and a large thatched veranda overlooking the swimming pool. 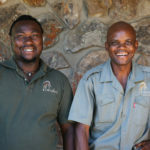 The lodge is constructed primarily from wood and stone collected from the reserve. Bird and animal life is outstanding. 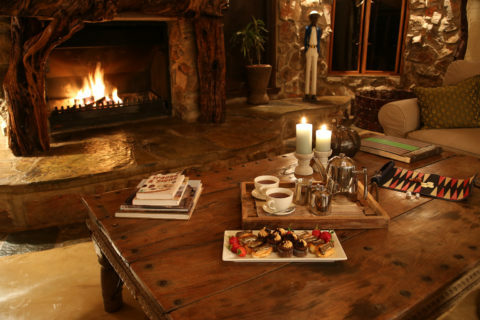 The lodge is only available for exclusive hire, perfect for a private family safari. 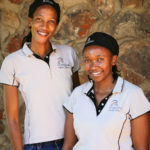 The Team at Umndeni Game Lodge will welcome you with a warm and friendly face from your arrival to the day you depart. They are dedicated to make every stay unforgettable and will always make you feel at home. 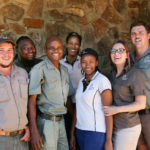 Managing and leading the Umndeni team and the day to day running of the reserve and lodge. They will go out of their way to make sure your stay is exactly the way you want it to be. 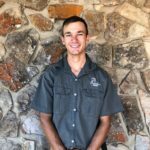 Assisting the management team with the day to day running of the reserve, working with the horses and looking after the well being of our guests during their stay. Preparing home cooked meals, housekeeping at the lodge and attending to our guests everyday needs. All the day to day tasks on the reserve, around the lodge and with the horses. It was a truly wonderful six weeks where we were looked after by everyone superbly. Both Dawyn & Chantell were quite fantastic, doing anything and everything to help us have a fantastic time. Phina’s cooking was delicious. Zag was friendly and helpful, loving the game drives and the riding. 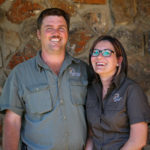 There is a light hearted but professional relationship between the men on the farm and the management which nurtures a great spirit at the reserve.